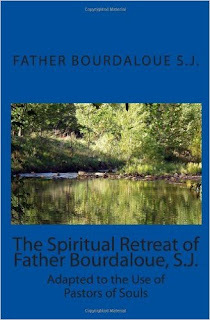 One of those rare classics where the retreat is a total reform of the person instead of an attempt to "scare one to holiness". This is a practical, how-to guide for priests to shake off the world in 6 days, a full-blooded reminder of the realities of Orders. With whom should we keep company? What kind of conversation is best? Should we be poor in fact & not just spirit and why? Though adapted for Pastors, this self- reformation manual applies equally to the laity who will find a clear path to purity.